Start your engines and get ready to shoot and pop bubbles in this awesome online ball shooter game. With cool graphics, power-ups and puzzles, you simply won’t put it down! Fan of fun bubble shooter games? 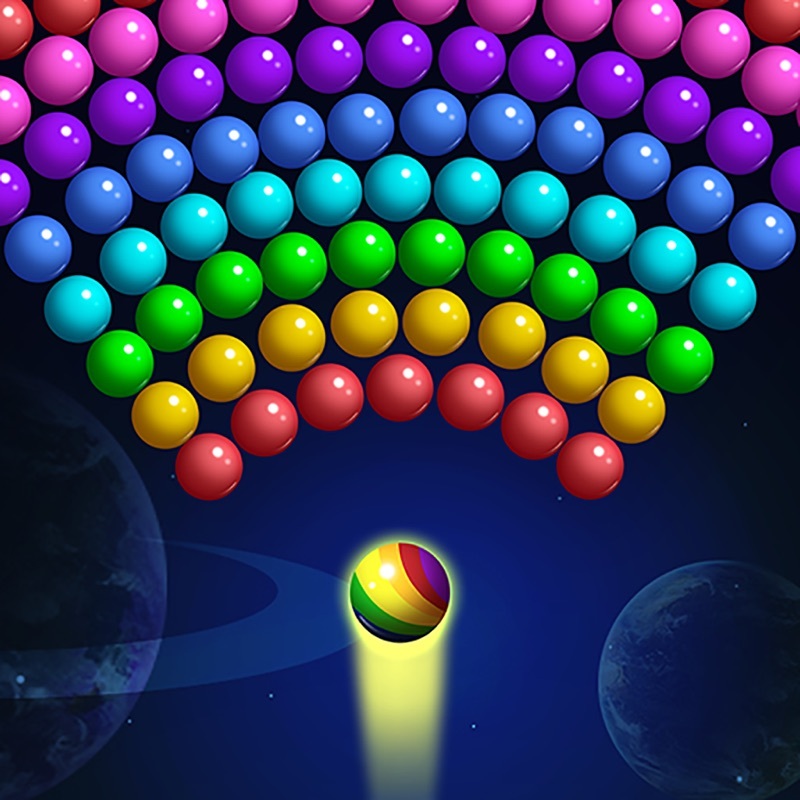 Play Power Pop Bubble Shooter, hit and crush the colorful balls, reach the target and clear the board. Solve the fun puzzles and challenges to level up and advance along the silver map in this addictive bubble crushing mania! Enjoy the best online puzzle game for free and explore hundreds of challenging levels packed with special power-ups and exciting features and effects. Don’t miss out this crazy bubble shooting mania, warm up your fingers and start working on those color-matching skills! How to Play Playing our fun puzzle game is easy, just follow these instructions: * Drag your finger to move the laser aim and lift it to shoot bubbles. * Match at least 3 bubbles of the same color to pop the combination and win points. * Aim and crush all bubbles to win levels. * Remember: the fewer shots you use to complete a level, the higher score you’ll get and the chance to earn 3 stars on every level. Unlock Powerful Boosters and Special Rewards: Make 7 shots in a row to earn a fireball that will burn up bubbles on the way. Drop 10 bubbles or more and get a bomb that will take out surrounding bubbles. Cool Features * Addictive gameplay. Play and enjoy hours of endless fun! * Enjoy hundreds of levels packed with fun puzzles and challenges. * Bubble swap is free, simply tap on your bubble to change its color. * Awesome graphics and effects. * There is no time limit, play anytime and anywhere. * Completely free to play! * Play online or offline, no WiFi connection is required. With so many exciting levels, fun challenges and puzzles, Power Pop Bubble Shooter is a must have game for your device. If you loved playing the classic arcade bubble games, you’ll definitely enjoy this fun ball shooting adventure. Pick your target, aim, hit and break the colorful bubbles and win levels! Power Pop Bubble Shooter Mania is free to download and play, but some optional in-game items will require payment. You can turn off the payment feature by disabling in-app purchases in your device’s settings. Power Pop Bubble Shooter is a classic online board game, perfect to play with family and friends, you simply won’t put it down! ** Make sure to keep an eye out for cool updates and new levels. Have a great time playing our game! All rights of Power Pop™ are owned by Ilyon Dynamics Ltd.
Power Pop Bubble Shooter Mania hack, Power Pop Bubble Shooter Mania cheat, Power Pop Bubble Shooter Mania iOS hack, Power Pop Bubble Shooter Mania android hack, Power Pop Bubble Shooter Mania generator, Power Pop Bubble Shooter Mania online cheat. Mini Coin Pack $0.99 FREE!! Medium Coin Pack $8.99 FREE!! Large Coin Pack $17.99 FREE!! Huge Coin Pack $49.99 FREE!! XL Coin Pack $94.99 FREE!! Easter Sale Big Pack $19.99 FREE! !